It's all go at the moment at the allotment. The fact is if you don't put in the work in these coming weeks the whole growing season could be missed. It may not look like the most exciting of photographs but to an allotmenteer a weed-free patch of land ready for sowing and planting is very exciting. 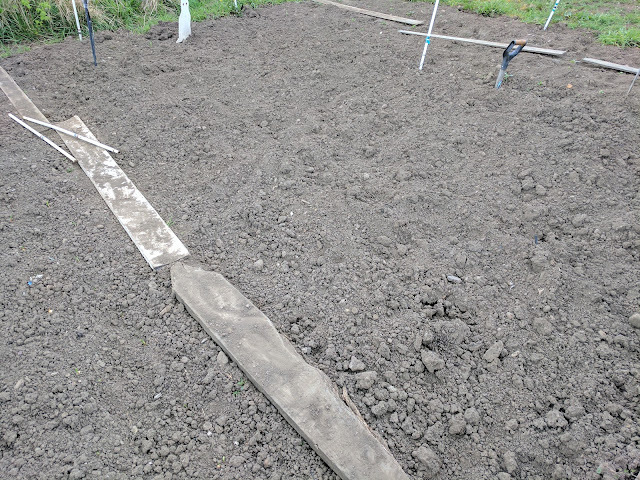 In the adjoining patch the onions have been planted. 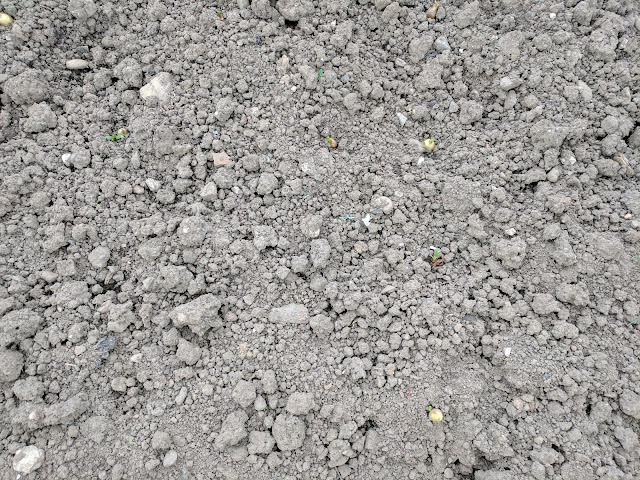 I've never been convinced they will grow by simply placing them on top of the soil but we have seen them grown this like on other plots. I've also sowed a couple of rows of peas. They're a dwarf variety so I've taken advantage of a small spot to put them in. 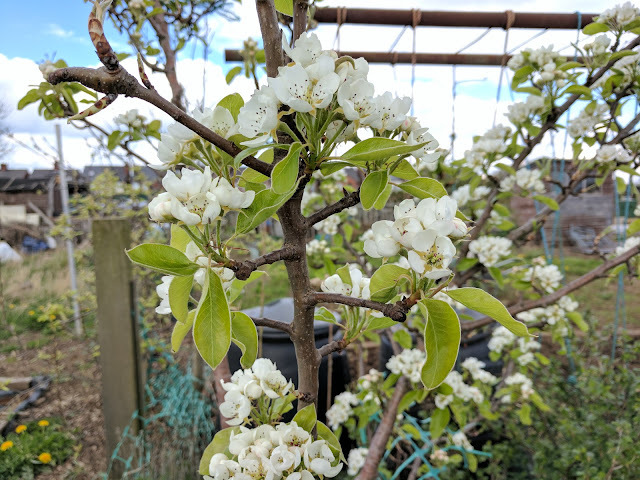 The fruit around the allotment is coming back to life. In the soft fruit section the gooseberries, raspberries and currants are all sprouting tiny fruits. On the pear tree the white blossom is the attracting the bees. Back at the house the seedlings have started to take over. 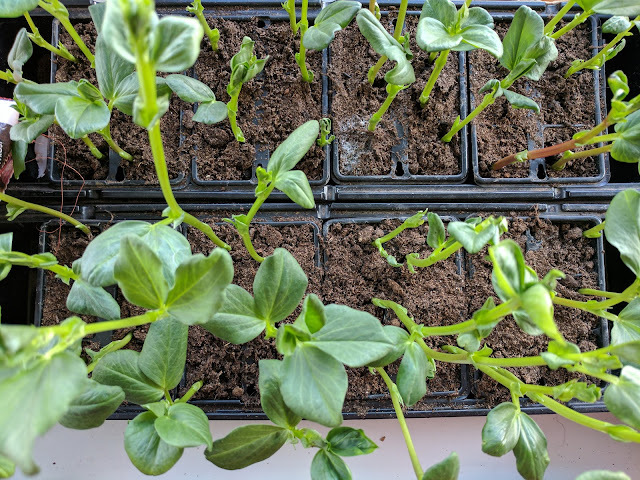 Broad beans are probably one of the easiest plants to germinate. Also potted up are the courgettes. 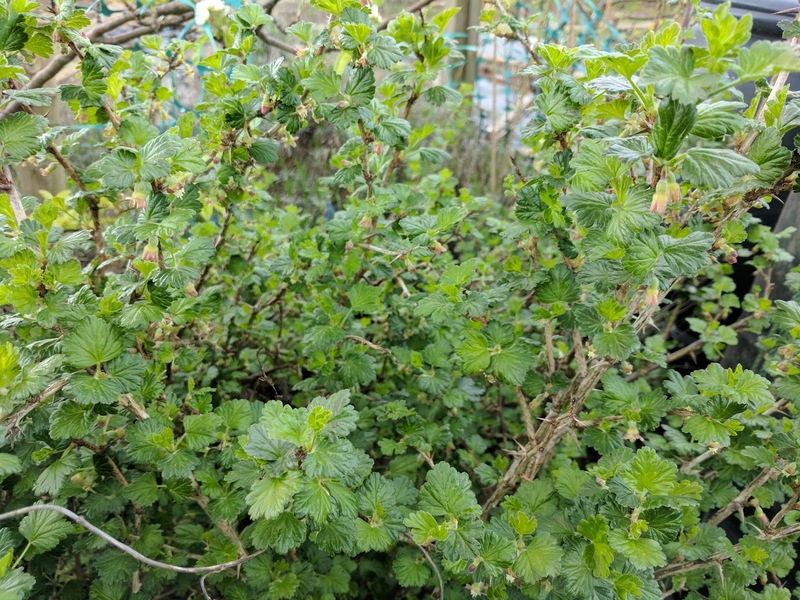 We haven't grown any for a couple of years but Master JibberJabber has a new found liking for them so we have both green and yellow varieties. 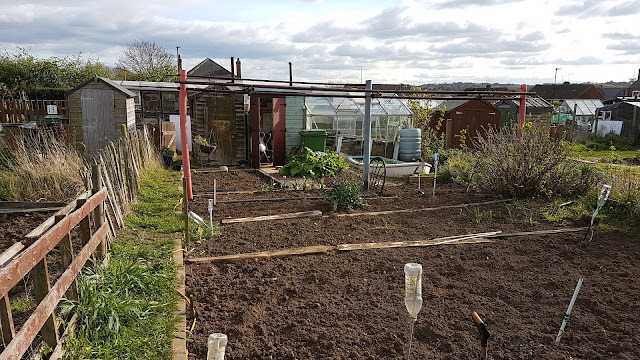 It's amazing that within a couple of weeks the whole allotment will look so different but there's a lot of work to do to get it looking so good.